If you feel enough of seeing your conventional front yard that consists of a patch of grass, a garden flag, and a mailbox, it is time for you to think of an alternative front yard landscaping option. It is all about unleashing the creativity, thinking from a different perspective and innovation. It is wonderful to see how much of a difference a new landscaping style does to your property. A great front yard landscaping not only gives your property a whole new look but also maximizes the overall value of the property. 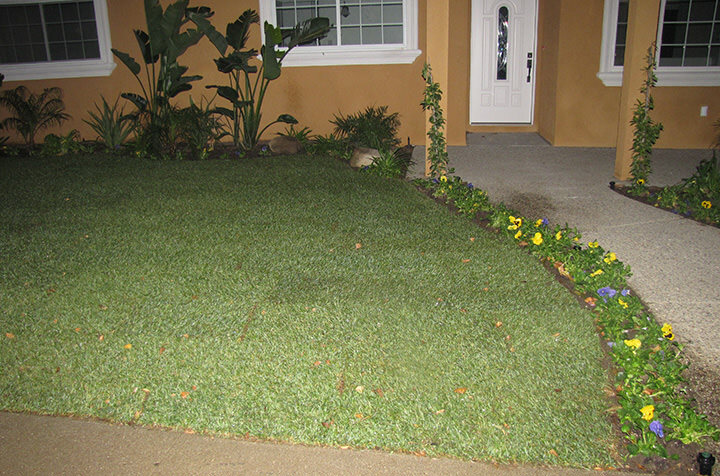 Mentioned below are three simple ideas that can improve the appearance of your front yard in Camarillo. One of the most effective ways to make your front yard a good looking one is to make it a fun, lively and exciting place. What you should consider in this case is to add some stimulating objects that are capable of attracting potential wildlife (such as butterflies and birds). This is not rocket science; it is all about increasing the natural attractions. Your first focus should be to create your yard into a wildlife-friendly place. Adding a birdhouse, installing a bird bath, planting natural shrubs and attractive flowers are simple yet effective ways. You can consider the birdbath or the birdhouse as the core of the design and plant a colorful, wide range of flowers and shrubs around it. Although this idea is a pretty simple one, the outcome of such approach is remarkable. Including a sitting area into your front yard landscaping plan allows you to create a great place to interact with your neighbors in a presentable manner. Moreover, you can use this space to observe the happenings in front of the yard and keep a good eye on the kids while they play. This can be done by placing a bench in the garden; place this bench under a tree in your front yard. However, if you don’t have an ideal sized tree, you can think of creating a small shed with natural items. Add some creativity to the place and make sure you gently isolate this place. You can use some varieties of flowers and small shrubs. Even potted plants may work well for such purpose. Another effective inspiration for your front yard landscaping is mixing the perennial plants with some annual plants. You can have perennial plants assorted in an attractive way so that they bloom year by year. Most of the time, perennials require less maintenance. Having a variety of perennials will be a great value addition to your front yard; it has something to bloom every time of the year. When it comes to annual plants, they are capable of creating a great vibrancy. However, they last for one year. Usually, these annual plants are not that expensive; you can have different sets of them each year, giving a new appearance. So, having a smart mix of both perennials and annuals will make your front yard a unique place. If you need more landscaping ideas in Camarillo, Thousand Oaks, Agoura Hills or cities nearby, please call us, we are here to help you create beautiful front yard landscaping.